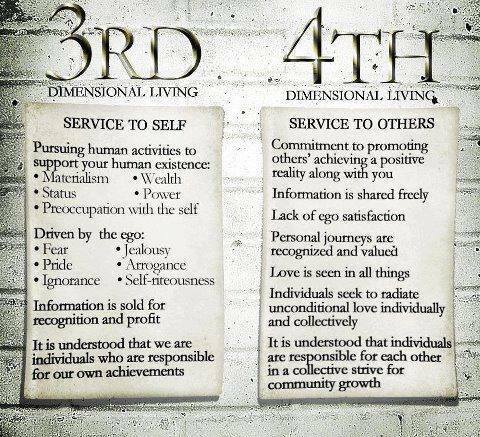 If you feel you land squarely in fourth dimensional expression, you know and you feel and you act as if “we vs. them ” paradigms no longer exists. Your desire is to experience fifth dimensional gift of oneness . We as a species on the planet are largely operating from the Reptilian mind ( 3rd dimensional ) that is based on the survival of self and those like us.Many progressives in The US feel disheartened.Many others are prepared to do battle with the current administration. Judgement of the other is abundant . Fear is the guiding force of many decisions . People on both sides are preparing for battle. It will not be a battle of a fiercely protected police force against crowds of revolutionaries that will advance us a humans. That method simply replaces those who love power with different ones who love power. To advance we must evolve to must prepare for the battle within that we face everyday. We must become more accepting of our own fears. As the Masters for whom the major religions are written have shown, this life requires a dedication in addition to attaining material things, above egoic satisfaction , beyond transactional or conditional love . This more human life knows we create our own reality governed by laws of physics or karma , however we wish to see it….the result is the same. It develops through trial and error , living and making wiser choices or not.Every action has an equal an opposite reaction and we do reap what we sow. We attract what we are consciously and subconsciously. In other words, we create our reality. Some of us will repeat the same choice until we have sufferred long enough in living that deteriorates one’s heart ,perhaps for many lifetimes. We will then gladly choose love, with all of our being , no stone building or priestly garb needed . No externalities will measure up to feeling love without measure. The call of our hearts goes out to spirit and manifests the perfect circumstance and people to bring us to our next part of the journey to wholeness. Feeling more whole within , this is what we create in all we do in our lives. We bring harmony and wholeness and healing to all our living. Do we participate in politics in this state of being? Absolutely, especially so. Let us enter into this arena . Change the face of service, of representation ,of leadership. Let it mirror our growth within. Speaking our truth ,inspire others to grow by our example,however they choose to accomplish it. Let us show up with our best version of our evolving self,foregoing the beating of chests , the I win – you lose paradigm. Let us focus on what we wish to create for the benefit of all .Let us choose win-win on all fronts. Next Me? Love”Them ” ?